Never Quit! 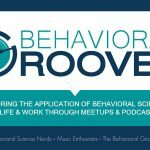 – Behavior Matters! the following words were from a father to his son – written in a letter as the boy went off to university in 1908. “That is all the secret of success. Never quit! If you can’t win the scholarship, fight it out to the end of the examination. If you can’t win your race, at least finish—somewhere. If your boat can’t win, at least keep pulling on your oar, even if your eye glazes and the taste of blood comes into your throat with every heave. These are words that I want to repeat to myself and to my son…thought you might like them. I love this. Never quit is a personal mantra of mine, and one I want to share with my daughter. I will use this entry as inspiration for an entry I’m going to put into the mother’s journal I’ve created for my daughter. Its a compilation of memories and more that I want to share with her when she’s all grown up.